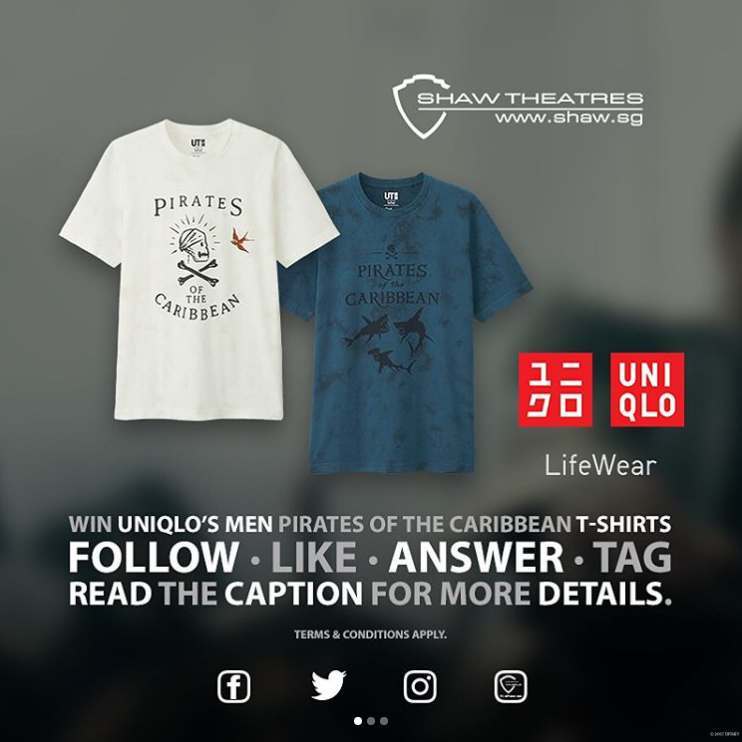 #CONTEST We are giving away 3 sets of UNIQLO’S Men PIRATES OF THE CARIBBEAN Graphic T-shirts! Each set consist of 2 UNIQLO’S PIRATES OF THE CARIBBEAN Graphic T-shirts. Follow the steps to participate and stand a chance to win! Step 1: FOLLOW @ShawTheatres and @UNIQLOSG on Instagram to qualify. Step 2: LIKE this post. Step 3: FILL IN THE BLANKS of the question: Captain Jack feeling the winds of ill-fortune blowing strongly his way when deadly ghost sailors, led by the terrifying ___________________. TAG your friend(s) to share this contest with them! Contest ends Sunday, 28 May 2017. Winners will be announced here so do check back for it. Winners must be residing in Singapore. Judges’ decision are final and no further correspondence will be entertained. Please visit http://shaw.sg for its Terms & Conditions. Find out more at Shaw Theatres .